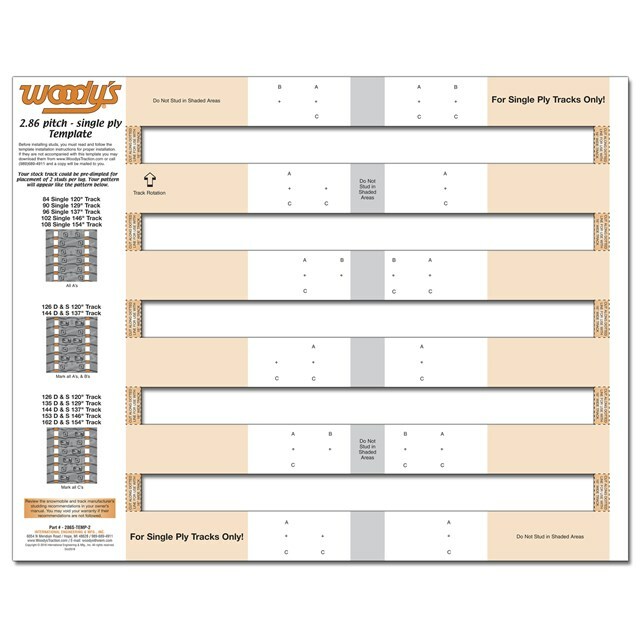 The 286S Template is made from heavy card stock for single-ply tracks with 2.86 pitch. Studding options include 84 & 126 studs for 15" x 120" & 16" x 120" tracks, along with 96 & 144 studs for 15" x 137" & 16" x 137" tracks. Center belt studding patterns only.